She was apprehensive and I understood why. Unfortunately, there still exists significant stigmas related to mental illness, and judgment seems only harsher for those who are considered successful. We live in a time where even presidential candidates, those entrusted to represent our nation, mock those with mental illnesses and are cavalier with offensive and hurtful terminology. Her dark hair was worn up in a messy bun, and she wore baggy sweatpants--a nice break from the pencil skirt and white lab coat she sports on a daily basis during her busy outpatient practice. She is a beautiful, high-functioning woman who is loved by her patients and extremely accomplished in her medical career. But there are parts of her identity that you cannot find on her resume or LinkedIn profile. She is a survivor of depression and bipolar disorder, and she battles mental illness every day. When asked about her past struggles, she describes dark times, like when she temporarily dropped out of medical school because she was coping with the death of a loved one, while simultaneously running from an abusive relationship. This ultimately lead to a dangerous depressive episode and she was hospitalized in an inpatient psychiatric ward for two weeks. "All I remember is being scared," she recalls. She explains during the hospitalization, fear gripped her amidst the heavily regimented and structured therapy sessions. She was put in restraints; given medications; and she felt like a fish trapped in a glass bowl. Despite these hard times, Dr. Z says it was the therapy provided in this harsh experience that provided her with the ladder she needed to climb out of the hole. Lots of work laid ahead of her when she left the psychiatric ward, but she was motivated to find peace and the support needed to achieve her goals. She ultimately returned to her home, enrolled back into medical school, and cut out the toxic people in her life. The rest is history. When asked how this experience changed her, she told me a person gains proper perspective in the face of trauma and tragedy. She now uses this force to propel herself and others around her forward. People who meet her would have no idea she battles mental illness. Rather than run from her difficult situation, she has embraced it, harnessed it, and is now empowered by it. Mental health is finally getting much-needed attention from influential organizations, the media, celebrities, and even world leaders. Advocates have made great strides in their attempts to erase the stigma of such diseases and in raising awareness of mental health challenges. But there is still much work left to be done. 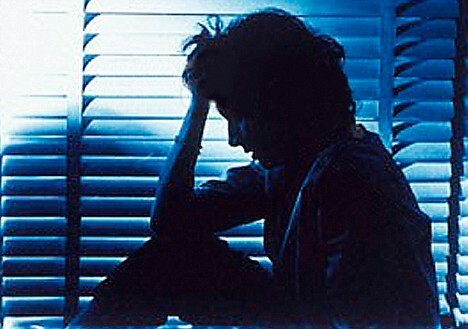 Approximately one in five American adults experience mental illness in a given year. More worrisome, is that suicide rates have increased over the last decade, and in 2014 there were 42,773 documented suicide deaths. It is the second-leading cause of death among people ages 15 to 34. This article is not about praising one individual. The purpose is to recognize that cultural misconceptions about mental health can become oppressive, and create a sense of shame and denial for those who suffer from these diseases. This makes it significantly harder for people in need of treatment to seek help. Dr. Z is living proof that even the most accomplished of individuals can suffer from a mental illness--and overcome it. I know some people will think Dr. Z is unqualified to care for sick patients, but nothing could be further from the truth. Because of her struggles, she is able to deliver better care for those who need healing. She has a sensitivity and personal awareness that is needed desperately in modern medicine but cannot be taught in text books. Because of her mental health history, not in spite of it, she has been able to save countless lives, in more ways than one. The same is true for so many other mental health survivors. Emotional turmoil can transform a person into a tool for radical change and transformation, one through which others are able to become stronger and healthier. It is our duty to create a culture of sensitivity and acceptance, perhaps now more than ever, so that we might see all those affected by mental illness reach their full potential.